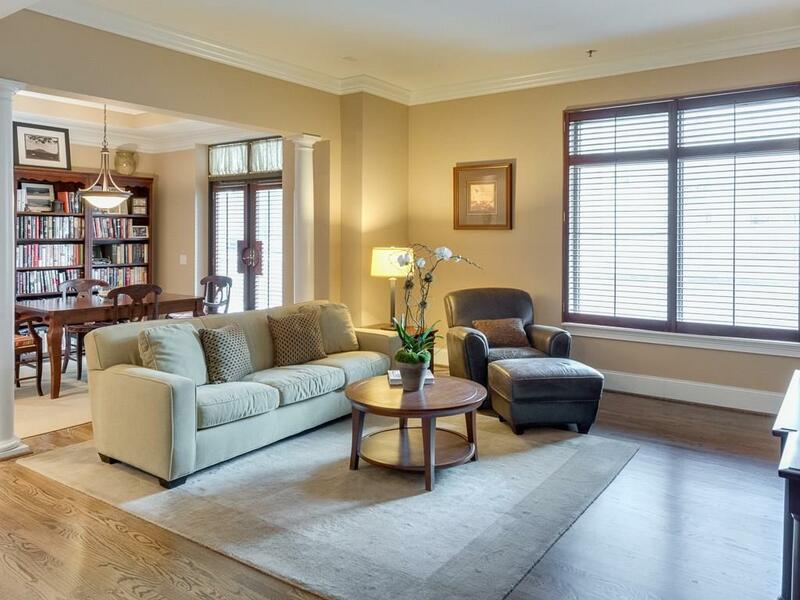 Stunning, sophisticated, and spacious home in superb location. 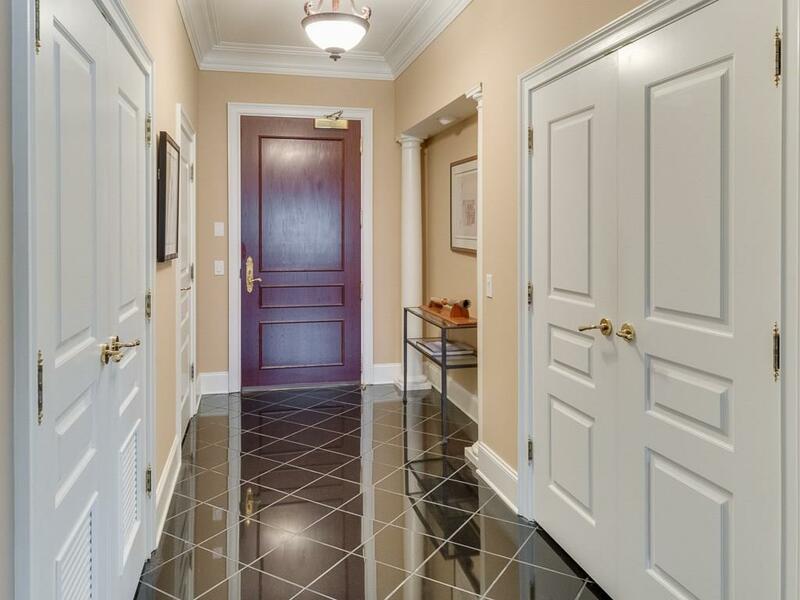 Gracious entry welcomes to open floor plan and large balcony perfect for entertaining. 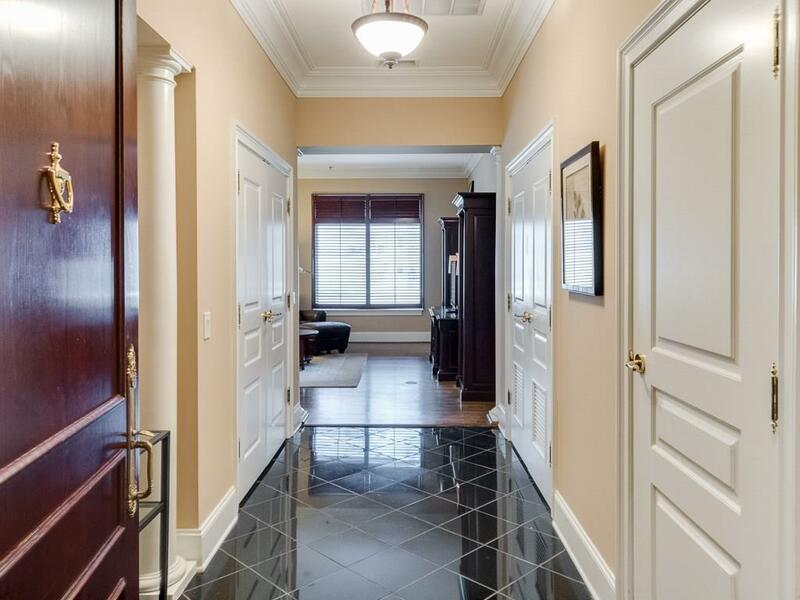 Hardwood floors, gorgeous molding and architectural details make this one special. Granite countertops, high end appliances, walk-in closet w/built-ins, 2 deeded assigned parking spaces. Amenities include 24 hour concierge, spectacular club room, bar, conference room, game room, swimming pool, fitness center, and beautiful rooftop terrace.